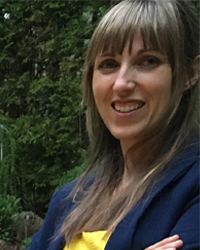 Elysée Nouvet is an assistant professor in the School of Health Studies at Western. She is an anthropologist by training (PhD York University; Masters Goldsmiths College, University of London), with additional post-doctoral training in healthcare ethics (McMaster University). Using qualitative and ethnographic methods, she has collaborated and/or led projects in Sierra Leone, Guinea, Liberia, Nicaragua, Nepal, and Canada dedicated to bringing under-considered stakeholder perspectives (e.g. populations with limited literacy or economic power, national healthcare staff in international healthcare projects, pediatric and elderly patients) to bear on the design and assessment of health care and health research policy and practice. She is currently co-leading research in Guinea, Liberia, Sierra Leone, and Madagascar. She is a regular reviewer for the Consortium for Advanced Research Training in Africa and a member of the the Réseau Ouest Africain Anthropologie des Epidemies Emergentes (RAEE).